Here at Ibiza Villas 2000, we have made it our mission to spread the word on how to ensure safe Ibiza villa rental and online booking. This information is absolutely essential for anyone renting an Ibiza villa from any online company or agency. Sadly, over recent months, we have heard many heartbreaking stories of people falling victim to villa scams. Paying a sizeable deposit in good faith to secure a property that doesn’t exist or is not for rent by the unscrupulous rotten egg to whom the never-to-be-seen-again money was paid. The good news is, there are some fairly straightforward steps you can take to protect yourself. 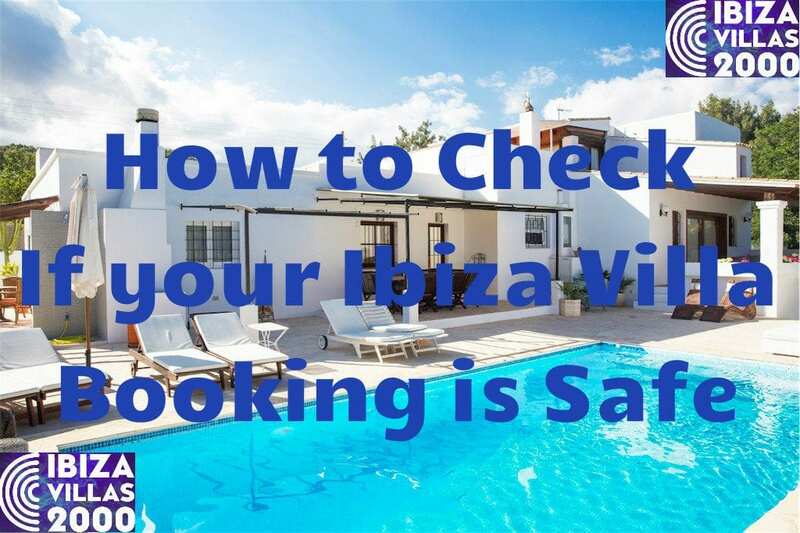 And to that end, please, before handing cash over to ANY villa company, find below our essential checklist to ensure safe Ibiza villa rental and a happy holiday experience. As we mentioned, we’ve been renting villas in Ibiza since 2000 (the clue’s right there in the name, folks!) and have hosted 100,000+ happy guests on Ibiza over this period. Scam websites don’t last very long. Checking the age of the website is a great indicator of whether or not the company is legit. If it’s been around for less than a year, BEWARE! Our website has been in existence since 16th August 2000 and you can check right here. Check if the company has a local office along with on-island staff with real names and faces. Scammers are rarely locally based. Look out for a ‘meet the team‘ page on the website too, a local phone number and don’t hesitate to call and speak with staff personally. Our local office is based at The Rude British Cafe & Bag Storage. smack in the centre of Playa d’en Bossa. Naturally, all of the Ibiza Villas 2000 sales & operations team – Luke, Debbie, Jacs & Ilsa – are all resident on Ibiza with their families. Don’t be shy, call us or drop in and say hello! If a company is registered with this association, then you know for sure it’s legal and above board. 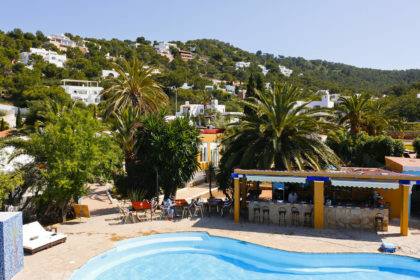 It probably won’t surprise you to learn that Ibiza Villas 2000 is a long-time member so you know you can book with security. You will see it on every page of our website. See this article for more information about AVAT. We are happy to work very closely with the Ibiza Town Hall and local authorities. We’ve been members of both since 2014. Ours are Central de Reserves number displayed RGE 2016018990 plus our Comercializador de Estancias Turisticas 12752. You can check these numbers on the Tourist Office website and the PIMEEF website. Always pay by credit card if you can. That way, if the worst did happen, then you’re insured by your credit card provider. Our clients’ payments are totally protected by our secure online credit card payment method. Stay informed, spread the word and let’s make sure everyone has the dream Ibiza villa holiday that they deserve!